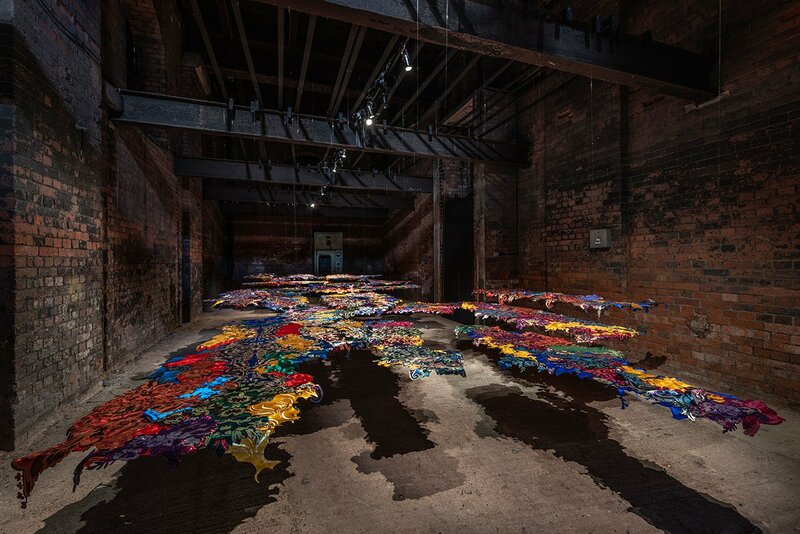 London’s Wapping Hydraulic Power Station is transformed into a multifaceted exploration of post-Soviet identity for the groundbreaking Focus-Kazakhstan exhibition series, featuring 32 established and emerging artists. The first major traveling exhibition of Kazakh art will be on display in this form through October 16th before moving on to Germany, the United States and South Korea in altered forms. First of all, that setting. 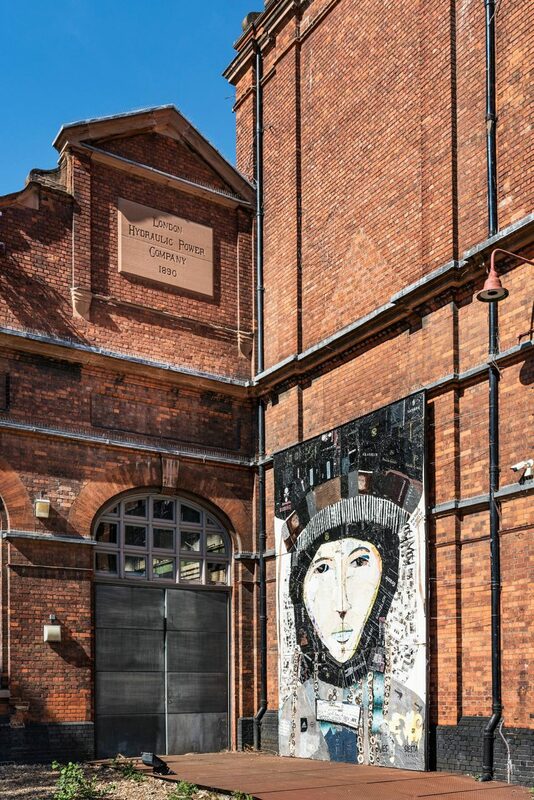 It’s been a while since the historic power station was functional; it closed as a pumping station in 1977 and was re-opened as an arts center and restaurant in the early 1990s. 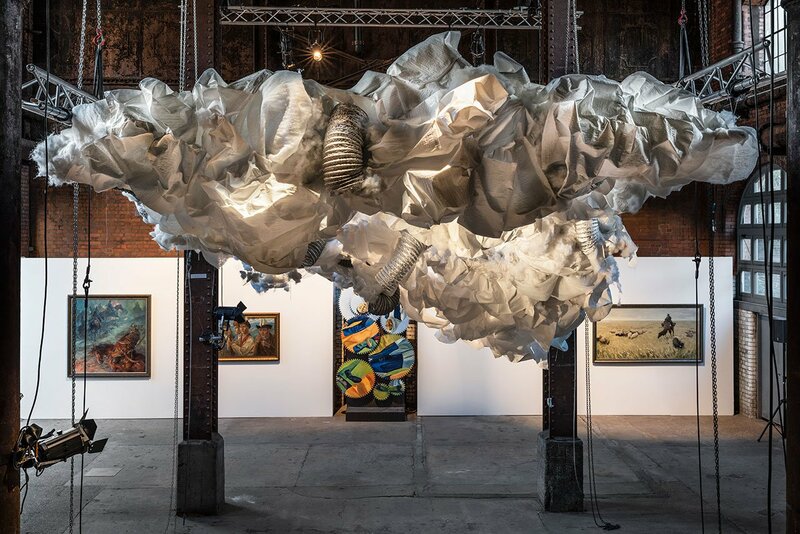 Today, it’s an incredible venue setting contemporary art exhibits off against the structure’s original equipment in spaces like the Boiler House and the Engine House. 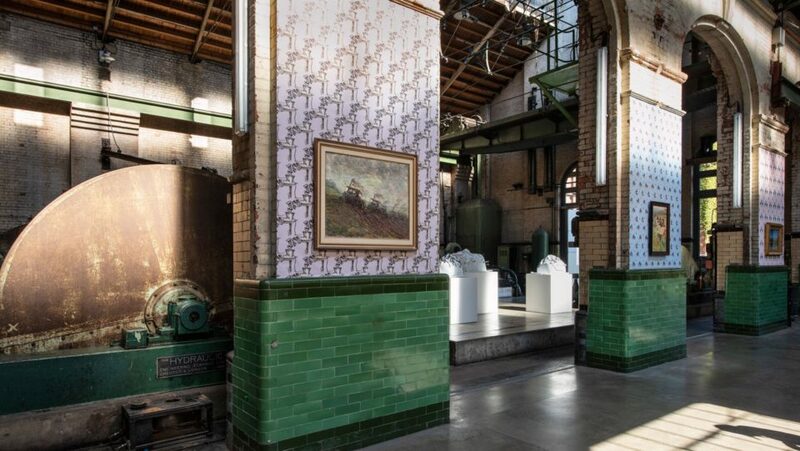 It’s a beautiful glimpse into London’s industrial history, and a striking setting for this dramatic exhibition. Focus Kazakstan: Post-nomadic Mind explores Kazakh’s rich tradition of art viewed through a series of dialogues between contemporary artists and artists from the past. 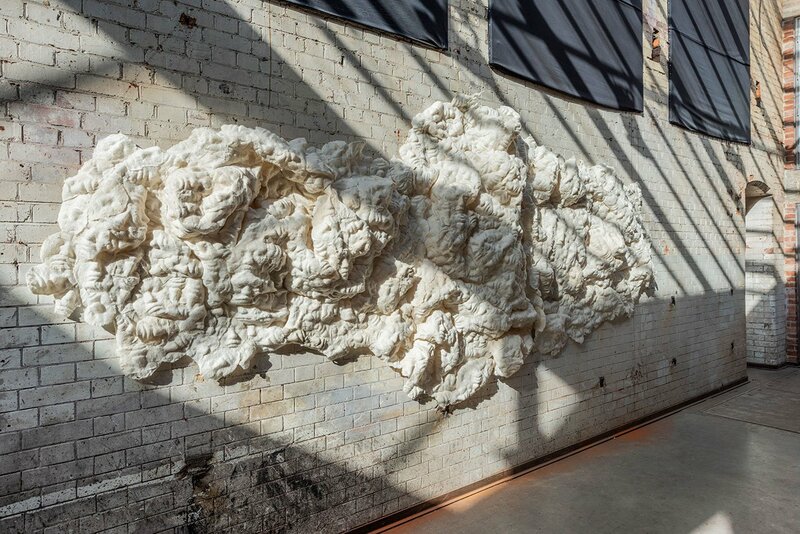 Canvases, sculptures, large-scale installations and video works examine the nation’s art in an international context as well as the influence of Soviet power, before, during and after its reign. 32 contemporary artists are participating, but the work of 80 artists is on display. Learn more about the artists participating in the project at Focus-Kazakhstan.com.